On my daily twitter travels I come across many people doing, making, writing and saying interesting things. 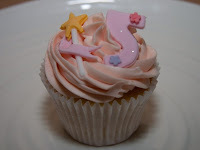 However, few are quite so interesting, nor indeed so appealing, as Ms Louise Land, for she is responsible for the delectable Cirencester Cupcakes. I'm absolutely in love with the look of her buttercream-topped, fancy schmancy, fairytale cupcakes. 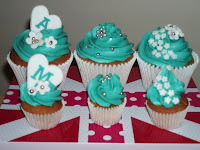 She has incredible attention to detail, not to mention creativity and skill, and will custom-make cupcakes to suit your requirements and occasion. They are 100% nut free and made from quality local ingredients. 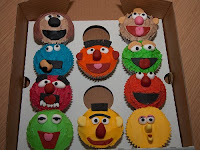 I had to tell her how impressed I was with her Muppet cupcakes: look at them! Serious little works of art. Louise is opening a shop in Cirencester in March and I for one intend to pay her a visit. 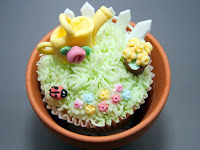 If you live in Gloucestershire, you can have your cupcakes hand delivered for free within a 15 mile radius. If, for some strange reason, you choose to live outside of The Shire, Louise can post your cupcakes. Love the muppets. I want an Animal cupcake now, please.